A week ago today, we ventured downtown to Manhattan to the Breast Care Center of Memorial Sloan Kettering. The building sat on a non-descript corner and didn’t boast its name so one could easily walk by it. Our little man ventured off to the zoo with family and Joe & I made our way inside. As the #2 cancer hospital in the United States, our expectations were high. I wasn’t fitted with a wristband or a GPS tracker like the other centers and it wasn’t quite as “high tech” in terms of the center itself but they did not disappoint. I filled out paperwork and was sent to a room to wait for the doctor. Once he arrived, he went over my history and I filled in any holes that he was missing and then a brief medical exam was conducted. He then left while Joe helped bandage me back up and we got comfortable to begin our conversation. We discussed my current course of treatment and that it will be indefinite until it stops working, which he supported. At MSK they typically do 7 days on and 7 days off of Xeloda instead of 14/7, like I am doing. He expressed that I have that option available to me in lieu of a reduction in dosage, so that was good to hear. 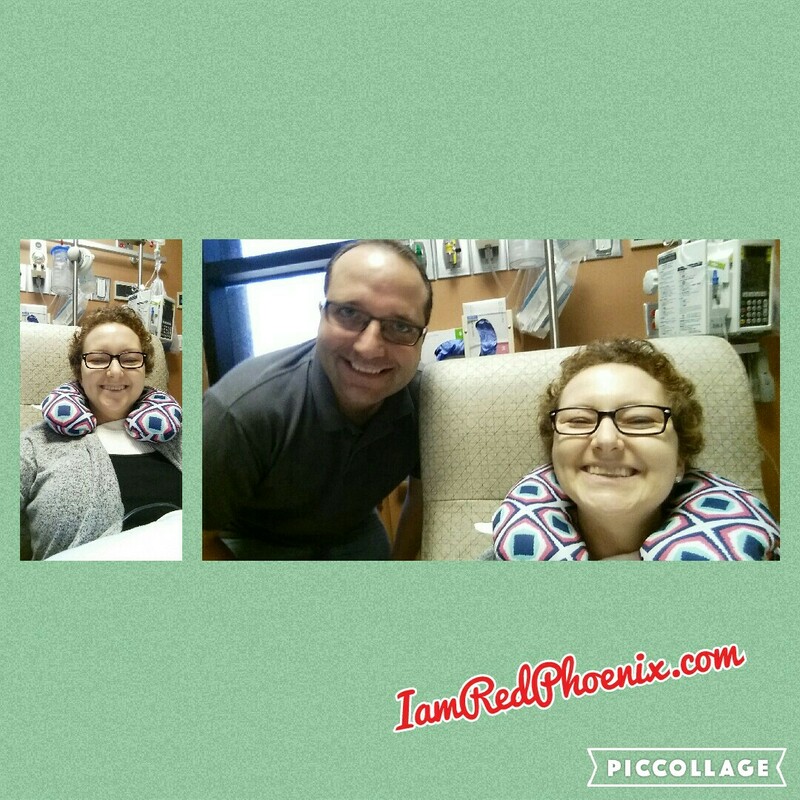 We discussed the next “standard” treatment, which would likely be IV chemo (Taxol, a sister to Taxotere that I had last year). The chemo wouldn’t be as intense as the 4 medicines that I had last year but it is IV chemo so I would lose my hair and I’d have to go weekly, among other things. Next, he broke down the 3 different therapies that are available outside of standard treatment – Molecular Therapy, Immunotherapy and Hormone Therapy. The Molecular Therapy is something that I am already being tested for since I am having the Oncopanel done through Dana Farber. This test typically takes 2 – 3 months. It’s also something MSK would have done as well and they are just as anxious for the results. Basically, the Oncopanel is taking slices of my actual cancer and testing it for all of the genetic mutations available. Of course, there could be hundreds of mutations but only a few handfuls of treatment options. In the future though, more options could become available based on the mutations. Once my actual genetic mutations are determined, there is the potential to target my actual cancer at the molecular level. The Immunotherapy is something that I have read a lot about and also something that Moffitt had offered up in terms of a trial available. It does just what its name suggests. It works to boost up your immune system so that it is strong enough to fight off or attack the cancer on its own, as if it were a virus or infections. It wasn’t MSK’s first pick for my situation since the responses have been mixed, however for Triple Negative (TN) breast cancer like mine, the cancer seems to be receptive. Next is hormone therapy. So this is where things were interesting. I have been “dismissing” hormone therapy because I am TN. Well, apparently there is also something called an androgren receptor. It is produced in both men and women but primarily men for the purpose of hormones such as testosterone. It is similar to estrogen and is actually a pre-estrogen receptor. Only 20% of breast cancers have this particular receptor but there are trials available that they are able to target this particular receptor. They actually would be able to hit the cancer twice with hormone and molecular therapies. While I am expected to be negative, my cancer is being tested for this particular receptor. MSK said that if there was ever a reason to pick up and move, it would be if I was androgen receptor positive. Crazy, right? Now that being said, I would continue on my current standard treatment plan because we know that it is working right now. It’s all a discussion of what comes next, once the Xeloda stops working. One of the questions that I had, which he wanted to discuss proactively, was around my HER2+ status changing to TN. I’m interested in hearing the different perspectives on this. I know that we will never know for sure what happened, but I do agree with his answer making the most sense so far. Basically, a tumor is made up on millions of copies of a cell. So when a biopsy is done, a portion of that tumor is taken and analyzed to determine the different hormone receptors. At some point, my tumor didn’t like that it was being killed off by chemo last year. So a portion of the tumor changed or adapted to “fight” the chemo. It began to morph away from the HER2+ status and into TN. Once it realized that it was growing stronger as TN, the entire tumor began to change into that and eliminated the HER2+ status entirely. The reason that I feel strongly that this is what happened to me, is because I can pinpoint the treatment that I felt like it started to change. I had 6 total chemo treatments last year. My first treatment sucked like the doctor said it would but my second treatment was significantly worse, as anticipated. I remember being concerned about my third treatment because of how horrible my second treatment was and yet, it was “better”. My third treatment (and subsequent treatments) was similar to my first and not my second treatments. So I *think* that it was during that time that my tumor started to morph. Obviously we will never know for sure, but it makes the most sense to me. I also asked about dietary changes and if there was anything that I should do differently in terms of helping to fight off the cancer. His response intrigued me. He brought up sugar, since that is something that is often discussed as helping cancer to grow. Cancer is a smart beast, as we are learning. If it requires sugar to grow, it is going to find a way to create its own. We can cut out every drop of sugar from our diet and yet if cancer requires sugar, it will find a way to make its own and continue to grow. Interesting, right? Now, I’m not going to change my own habits because I feel better eating the way that I do now (plant based) but I think his logic is on point…if there’s a will, there’s a way – even for cancer! The doctor also shared that he feels there is a lot in genetics that we have not yet discovered and that most, if not all, cancers are likely based on some form of genetics that we have yet to discover. Needless to say, this visit to MSK was amazing. We learned a lot, the doctor explained things in a way that was easy to understand and he offered up information that we didn’t even know we needed. I am anxious for the results of the Oncopanel and the androgen receptor tests. Next up is Emory in Atlanta. Although these trips to the different centers are exhausting and expensive, they are beyond worth it. Each center that we visit provides a different level of insight and performs a different test than any of the other centers. While I’m continuing with my standard treatment currently, we are learning more about the intricacies of my cancer and what’s next in terms of treatment options. Each visit is completely worth it! Let’s be frank here. It’s almost 10pm here in Florida and I’m awake. Isn’t that amazing in itself?! I’d say so! Today was relatively uneventful in terms of my transfusion. 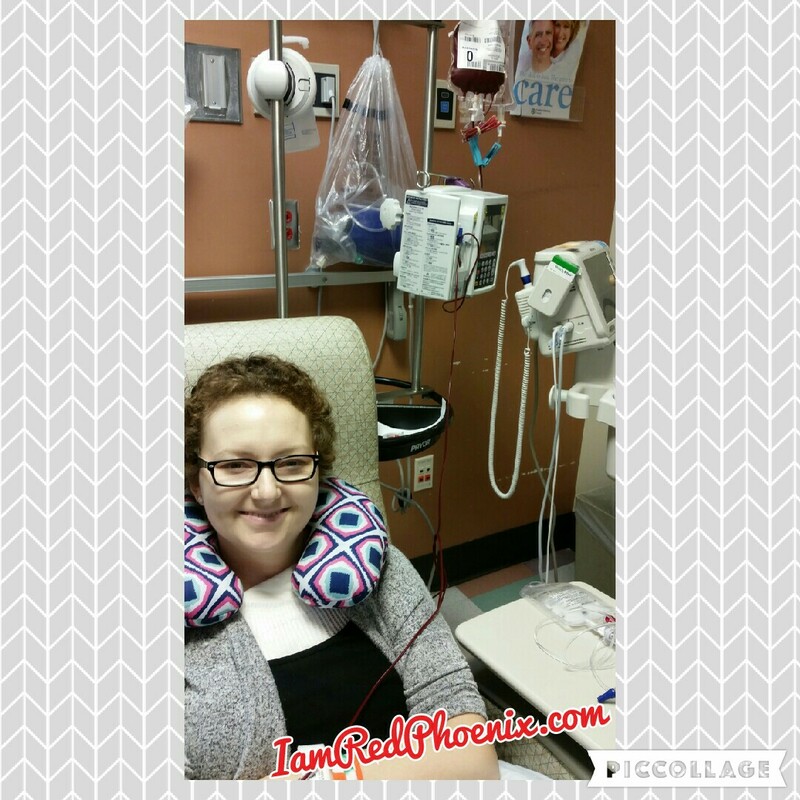 It was a different infusion center than I typically travel to so a bit further but basically the same setup. Everyone was kind there, which I’ve come to expect from the centers I visit. It’s nice not to be disappointed in that aspect. The transfusion itself took longer than I anticipated. Despite my 10am appointment, my actual transfusion didn’t start until 1130am. I received liquid benadryl (wah!) first and then saline while waiting for the blood bank to deliver my blood. Each unit, which I received 2 of, took about 2 1/2 hours each plus arrival time. We didn’t leave until almost 5pm. I’m all hooked up and waiting for some blood! They were able to easily find a vein despite their limitations in my arm. It’s weird having an iv hooked up to my arm instead of my port, plus I can feel everything going into my arm. Very odd! I just learned I was starting with liquid benadryl before my transfusion. Needless to say, I can already feel the tiredness creeping in…crazy that it’s even possible to be more tired, right?! I’ll be sleeping in no time. Of course, my sweet husband is by my side. I am so blessed with this man!! It’s Tuesday and I like to keep things interesting! I haven’t been around and I have a lot to share about this past week but for now I’m going to stick with today’s updates. Why? Well, frankly because I’m exhausted despite my 3 hour nap. I ventured out early this morning to see my radiation oncologist (RO), who was anxious to hear about Memorial Sloan Kettering (MSK) and also see my skin. My skin is better overall than it was before, even just a week ago, but still in rough shape. I’m using (I say me but really, Joe does the hard part of applying everything!) less xeroform and bandages but still go through at least 12 – 15 of each per day with 3 dressings changes. Joe is such a pro now that even the doctor commented on his technique being great today while he applied a coating of the prescription to my skin. She was also surprised and impressed that we turned the “tube top” netting into a vest of-sorts that goes over my shoulders so that it stays in place all day. Anyway, we are only 2 ½ weeks out of radiation and my radiation was a higher dose than usual plus Xeloda so my skin is healing slowly. Well, I’m over it. I smile while typing that but seriously, enough already? I’m sick of wearing bandages all day every single day. Literally. The RO proactively agreed that my skin is taking a while, which we expected, but she wants to help it along so after a chat with my medical oncologist (MO) and me, we all agreed to take an extra week off of Xeloda. My feet and skin will thank me for that. My RO commented on how nice my skin looks overall and that it is better each week. By next week, hopefully it will be mostly healed, likely with the exception of the area that was previously radiated. I’m banking on it, since I’m in a wedding in just 10 days! It was also decided that there will be no boost so I’m totally done with radiation (for now and hopefully ever) – WAHOO! Next I ventured across the way to my MO’s office to have my blood work checked again. Last week it was quite low, borderline transfusion, so being off Xeloda for a few days, I was optimistic despite my sheer exhaustion. Unfortunately, exhaustion and pale skin doesn’t lie. My counts were even lower this week, with my hemoglobin down to 6.6 (average for women is 11.4 – 14.7). Yikes. The nurse joked about how I was even walking but it explains why I had a hard time taking the stairs to the second floor a few minutes prior. I’ll need two pints of blood tomorrow, which I’ve never done before. I’m nervous, of course, but it is what it is and I’m hopeful to feel better. I’m fairly certain that I could sleep all day right now. My MO stopped in and joked with me about my skin matching my white tank top, which seemed appropriate, considering! He is a very kind man and I appreciate him looking out for me. The nurse made all of the arrangements for tomorrow then walked me upstairs, where I normally receive IV chemo, and set me up to have my blood type checked. She hugged me after ensuring I was all set and went on her way. The nurse unfortunately had some challenges with my veins to check my blood. Only my right arm can be used since I had lymph nodes removed from my left and my port cannot be accessed right now because of radiation burns. I have quite a few bruises from recent blood draws on my right arm and at least one scarred vein so sadly, we are running out of places. She tried my hand twice but couldn’t draw blood and then blew a vein. L She ended up using the same hole that they drew blood from earlier, which hurt like heck to access but at least it worked. My quick blood work appointment turned into almost 3 hours. It was time to rest after that and I took a very long nap. I’m up now and waiting for little man to arrive home but honestly, I’m ready for bed again already. I’m hopeful that the transfusion will give me some energy back because I desperately need it! On that note, I’m off to rest while waiting for the little guy. I’ll update more tomorrow while receiving my transfusion and share my incredible trip to NYC and MSK with you all! Happy Tuesday!! When I was a teenager, I worked with my dad attending all of the local fairs & festivals to sell cajun food. I spent most of my weekends that way and met a ton of people. It was a lot of fun! One particular event, it was cold & rainy. We kept the coffee brewing and sold it like crazy as a way for people to keep warm. I hadn’t drank much coffee before and decided to indulge in a cup or two. Before I knew it, I had downed half a pot and the caffeine was kicking it. I was out and about in front of our booth giving away samples of our delicious cajun food, enticing people to come eat. It worked, though it may have had something to do with my excitement and the fact that I had then downed a pot of coffee by myself. Despite the rain, the day was fun and we packed up and headed home. By the time we arrived home, the caffeine had worn off and I was borderline miserable. I had a wicked headache and had a hard time sleeping because of all the coffee from earlier. I spent the evening quite unhappy with my caffeine withdrawals and promised myself not to do it again. Over the last decade or so, I’ve come to rely on coffee. It’s a regular thing for me and expected each morning. I used to “have” to have it flavored, then sugar and milk, then just milk and eventually black. Though my taste buds changed, my love for coffee did not. Earlier this year I even switched to organic and fair trade certified. Even when I was pregnant, I switched to half-caffeine instead of completely giving up. The day of my brain surgery, I decided to give up coffee. I figured, it’s become something that I rely on and shouldn’t need to. I also figured that I would have headaches from surgery so the time to give it up was then. So, that was that. Two month ago today, I enjoyed my last mug of coffee as I sat in the waiting room for my head CT – completely unaware that I was savoring the last bits of coffee. I won’t pretend it’s been easy, the first week or so post surgery was hard because of the habits that your are forced to break, like making coffee first thing every morning. It’s become a non-issue for me in general though, because I no longer think of it as a “must-have” like I used to. And for that, I am grateful. These last few days, well weeks, I have been exhausted. Like, I could sleep all day if I wanted to exhausted. Complete change from my steroid induced insomnia! The last few days had me contemplating coffee again, though the type of tired I feel, I’m not sure coffee could touch. I visited my oncologist’s office yesterday and had my blood counts checked. Turns out my white blood cells, hemoglobin and hemocratic are all quite low. We are hoping that it is because I am on my last few days of Xeloda before taking a week break. I’ll be rechecked next week. If my numbers don’t improve, they’ll want to do a transfusion but hopefully it’s just a matter of needing a few days off the chemo for my counts to recover! Happy Sunday, friends! Did anyone else see that gorgeous full moon last night?! My goodness, I thought I could reach out and touch it – it was incredible. We were driving home when it was rising and Jacob was in awe. The whole car ride he was watching for it behind the trees and buildings, asking “where moon go?” when it disappeared and yelling “there it is!” everytime he saw it. He even woke up talking about it this morning! I’m just over a week out of radiation treatment and I’m hopeful that I’ll start to feel better now. Dare I say, I feel as though the pain is improving slightly, though looking at pictures there are parts that are more red than before. I don’t think I curse quite as much when I’m getting bandaged up though, so that’s good news! 😉 I’m anxious to stop with the bandages since they are time consuming, uncomfortable and warm…but almost through it! When was the last time you bathed instead of showering? I can’t remember the last time I did! The last few days, I’ve started bathing to help with the radiation burn. It’s not the greatest thing in the world but it is significantly better than showering. It must be the combination of the water falling vs me being able to take my time getting the extra lotion off my skin with a washcloth. I am glad to have found a happy medium! I’m over a week into my 3rd cycle of Xeloda and so far, I feel good from that. My feet are lotioned up regularly and it’s causing some major dry skin in general but other than that, I only have fatigue so that’s great news. I’m hoping my feet don’t start to hurt until the end of this cycle, when it’s time to take a break again anyway. The combination of everything right now is causing me to make up for lost sleep, for sure. I feel as though I spend my days sleeping but I remind myself this is the time that my body needs it. I’m almost recovered from radiation and then hopefully it’ll just be chemo for a LONG time!